In an achievement that can revolutionize and change medical treatment for bleeding wounds, researchers at the Indian Institute of Technology - Kanpur (IIT-K) campus from the Department of Biological Sciences and Bio-Engineering claim to have developed a polymer that can stop bleeding in five seconds when applied to a wound. According to the researchers, the polymer named Natural Polymer Sponge (NPS) has been developed from a chemical found in crab shells, and can help control excessively bleeding wounds that can be fatal.Ashok Kumar Kaul, Assistant Professor in the Bio-Sciences and Bio-Engineering Department told that such a polymer that promotes haemostasis, which is the process of preventing the blood flow from an injured body part, has not yet been developed elsewhere. "Creams and ointments available in the market to promote haemostasis give only partial relief and most of the times are useless for controlling bleeding in major injuries," he informed.He further said that the IIT-K team had already conducted trials of the polymer on animals and would now begin clinical testing of the product and also apply for a patent. The NPS polymer has many pores, similar to a sponge that can easily absorb large volumes of blood to help curb bleeding.It has been designed in such a way that it will have the same effect during all seasons. India has arrested Madhuri Gupta..a woman working as a diplomat in its Islamabad embassy (pakistan) on charges of spying for Pakistan and ISI.Madhuri Gupta, 53, is a second secretary in the high commission in the press and information section. She was arrested on a work trip to Delhi. Officials say she is suspected of handing over classified documents to Pakistan's ISI intelligence service. Pakistan Government didnt respond to the arrest,as the tension between the two neighbouring nations is on rise. China has removed travel restrictions for foreigners who suffer from HIV and AIDS.The move have is very significant as discrimination against HIV infected people is on rise in south asian countries like India and China.The newly amended law, published on the Chinese government website, comes ahead of the opening of the Shanghai World Expo on Saturday, which expects 100m visitors. The World health organisation has welcomed the decision as "a significant step in the right direction". Dr Margaret Chan, WHO Director-General, said: "This decision should inspire other nations to change laws and policies that continue to discriminate against people living with HIV. "Many policies that discriminate against people living with HIV were enacted at a time when AIDS was surrounded by widespread fear and hopelessness. "With HIV prevention and treatment now saving millions of lives, this is no longer the case. Policies that help curb discrimination can help prevent further transmission," she said. UN Secretary-General Ban Ki-moon said in a statement: "Punitive policies and practices only hamper the global AIDS response. "I urge all other countries with such restrictions to remove them as a matter of priority and urgency." Imagine that you could launch a country's missiles against its own people or that can shut down the entire commnication system of a nation .....that is what cyber war can do in near future ,if nations donot think seriously think about cyber security. Every Nation is infact getting into Cyber war,they have even started building their own cyber Army.US,China and Russia are recruiting hackers for cyber army. The first cyber war reported was on 2007 when Russia hacked into government networks of Estonia and brought down the entire cyber in frastructure of the nation...In 2008 Russia hacked into Georgia . China has also got into Cyber war ,he chinese military even offers prizes to its best hackers ,China attacked computers of ministry of external affairs in India ,and got away with sensitive data.China targeted US networks and Databases in US in 2009.Even North Korea has started a cyber war targeting South Korean Websites. India was looking forward to launch its 2nd moon mission Chandrayaan 2 using GSLV by 2013,the failure of cryogenic engine has also shadowed the project.But for now ISRO has two Russian Engines of the seven it bought from India ....One will be used to launch ISRO's GSAT 5P satellite and GSAT -6 communication satellites.Already feeling confident that the GSLV -D3 with cryogenic Engine would have a successful flight ,the ISRO had planned 11 launch vehicles ..it even had started fabricating necessary systems for it. So with ISRO saying that it would relaunch the Cryogenic engine within next year to success ,its future depends on that successful launch. The United States on Wednesday issued a fresh warning to its citizens in India asking them to refrain from visiting congested areas of Delhi following "increased indications" of terrorists planning attacks. "There are increased indications that terrorists are planning attacks in New Delhi. Terrorists have targeted places in the past where US citizens or Westerners are known to congregate or visit. "Markets, such as those located in Chandni Chowk, Connaught Place, Greater Kailash, Karol Bagh, Mehrauli, and Sarojini Nagar, can be especially attractive targets for terrorist groups," security/Warden Message issued by the US Embassy said here this evening.The alert said the US citizens should exit an area where unattended packages were spotted and the matter should be reported to authorities. It said Americans traveling or residing in India are strongly encouraged to maintain a high level of vigilance, remain aware of their surroundings, monitor local news reports, and take appropriate steps to bolster their personal security. Brazil Government gives rights to develop Belo Monte dam along Amazon River,inspite of the argument that thousands of people will be displaced ,the ecosystem of amazon will be damaged and will threaten the survival of indigenous groups in amazon forests. A consortium of nine companies has won the right to build a hydroelectric dam on a tributary of the Amazon in Brazil.Brazil's electricity regulator said the Norte Energia consortium would build the Belo Monte dam, to which indigenous groups and environmentalists object. It is led by the state-owned Companhia Hidro Eletrica do Sao Francisco. Officials say the dam on the Xingu River is crucial for development, but critics argue thousands of people will be displaced and an ecosystem damaged. About 500 people gathered on Tuesday outside the offices of the Brazilian Electricity Regulatory Agency (Aneel) in the capital, Brasilia, to protest against the auction. The environmentalist group, Greenpeace, dumped several tonnes of manure at the door to demonstrate what it said was "the legacy that the Lula government is leaving by insisting on this project". Environmental groups say the Belo Monte dam will threaten the survival of indigenous groups, and the lives of up to 40,000 people could be affected as 500 sq km of land would be flooded. Luis Xipaya, an indigenous leader in the city of Altamira, near the proposed dam, said 150 Xikrin Kayapo Indians would move to the construction site by Wednesday. The latest 23rd James Bond film , due to star Daniel Craig as 007 for the third time, which had been due out in 2011 or 2012 has been suspended due to uncertainityover the future of film company MGM . James Bond is one of the longest running franchises in film history. while the future of James bond movies are doubtful,Producers Michael Wilson and Barbara Broccoli said they did not know when work on the 23rd Bond film would resume and there was no date for its release.Wilson and Broccoli, of EON Productions, said: "Due to the continuing uncertainty surrounding the future of MGM and the failure to close a sale of the studio, we have suspended development on Bond 23 indefinitely." IPL3 full of Drama---Indian minister Mr.Tharoor resigns over corruption allegations. This has followed a week of drama involving a public spat between Lalit Modi, the chief of the IPL, and Mr Tharoor over ownership of the new cricket team for Kochi. Mr Modi sent out a series of Twitter messages, "disclosing" the owners of the Kochi team and their shareholding stakes. Mr Modi said they included Sunanda Pushkar, a Dubai-based businesswoman and a friend of Mr Tharoor. It's Modi's tweets that unleashed the drama that took Tharoor, a minister, hostage for a week, before he resigned under considerable pressure from his own party on Sunday night. Mr Tharoor and Ms Pushkar say the stake was awarded as "sweat equity" in return for marketing and professional services to the new franchise - but Ms Pushkar has now offered to surrender the stake. Kochi was sold to Rendezvous Sports World Limited for $333m at auction. It is one of two new franchises which will join the IPL from 2011, taking the total number of teams to 10. Mr Tharoor has said that Mr Modi tried to persuade the owners of Kochi to drop their bid in favour of another city. Income tax officials have also launched an investigation into the IPL amidst allegations of corruption and nepotism involving Mr Modi. The IPL has become a multi-billion dollar industry, which attracts some of India's wealthiest businessmen and women.Sources say Modi may be asked to quit as IPL Commissioner. The IPL's governing council, which is reportedly against Modi, is meeting later this month. It will be followed by a meeting of the BCCI Working Committee, where a final call is likely to be made. Two suicide bombers dressed in burqas struck a crowd of displaced people collecting aid handouts, killing at least 41 and wounding more than 60 on 17th april at a camp in northwest Pakistan. The bombers struck minutes apart in the Kacha Pukha camp on the outskirts of the garrison city of Kohat, a registration centre for people fleeing Taliban violence and Pakistani army operations close to the Afghan border. Australian medical student called US President Barack Obama a "monkey"
An Australian medical student and a member of a political party has called US President Barack Obama a "monkey" on Twitter, a remark that has sparked a racism row and demands for his expulsion.A member of the Queensland Young Liberal National Party, Nick Sowden, also a medical student at the University of Queensland posted messages on Twitter last night while US President Barack Obama was being interviewed by ABC's Kerry O'Brien, according to 'Courier Mail' daily. "If I wanted to see a monkey on TV I'd watch Wildlife Rescue," said another. Sowden today however, tried to defend his statement on a radio channel stating that his comments were taken out of context.He said it was a joke between friends. "I think the people follow me know (it's a joke) and the people who are my friends know and the people on Twitter don't unfortunately," he said.Sowden said he had not yet heard from the LNP president and could not confirm rumours he would be expelled from the party. The comments sparked a harsh backlash on Twitter and by bloggers"It's amazing that in the space of one hour and 4 tweets @nicksowden's political career has probably ended before it even began," said one tweet.Several asked whether the account had been hijacked. The account has since been closed down. The blast happened shortly before the start of an Indian Premier League (IPL) cricket match between Mumbai Indians and Bangalore Royal challengers. Police say the device was hidden in the perimeter wall. The match was scheduled to begin at 1600 (1030 GMT) with about 40,000 people in the stadium. It has now got under way.A section of the perimeter wall had also been damaged and that forensic experts had been called in to investigate. The game started after security staff carried out an inspection of the grounds. Another bomb was found and defused at Bangalore's Chinnaswamy Stadium , while the IPL match between Bangalore and Mumbai was still on. The bomb was located outside gate no 8, and was timed to go off at 8 pm - when the match would end. Contrary to US intelligence assessment, Pakistan Prime Minister has claimed that world's most wanted terrorist Osama Bin Laden is not in his country and said no distinction could be made between a good and a bad Taliban. "Certainly he is not in Pakistan" Gilani told CNN on a visit here to attend the Nuclear Security Summit. He said if Osama had been on Pakistani soil he could not have escaped the ongoing military operations. The Pakistan Prime Minister admitted he had little information on the whereabouts of the Al-Qaeda chief and said that Pakistan army had conducted widespread operations in region such as Swat, South Waziristan and Orakzai tribal region. "Our military operations have been very successful... and if Osama was hiding in these areas he could have been nabbed...I don't know whether he is alive or dead". Pakistan Prime Minister said that he was not in favour of negotiation with Taliban. "Because at times we talk of good and the bad Taliban. I have always believed that militants are militants. We hardly discriminate between the good Taliban and the bad Taliban", Gilani said, appearing to be agreeing with the Indian viewpoint.The Pakistan Prime Minister said that militants only wanted to destabilise the system. "Our people have let it be known they will not allow handful of extremists and terrorists to intrude our peaceful way of life and inclusive culture".But Gilani said if there was actionable intelligence or credible information regarding Bin Laden Pakistan was ready to share it with the US. Gilani also "denied" another media report in a US daily that the ISI still has links with the Taliban, Al Qaeda and other extremist elements. "In fact, we are having excellent cooperation, in the field of intelligence and defence between the US and Pakistan, and we have jointly and even separately had identified the targets, we got them arrested and they are now facing the courts," he said.Islamabad has very good relationship with the US, Gilani claimed, adding that Pakistan is cooperating with the US on the war against terrorism.Gilani further denied a Washington Post report that Pakistan recently released two high-ranking Taliban that they captured. "That would be done by the court," he said, adding that Pakistan has its own laws. Somali radio stations have stopped broadcasting music following an order from Islamist insurgents who say songs are un-Islamic.Somalia has a tradition of music and most residents greeted the ban with dismay. The edict is the latest unpopular order from Islamists, who have also banned bras, musical ringtones and movies. Abdulahi Yasin Jama at Tusmo broadcasting says stations had no choice but to comply with the order, which came into force Tuesday. Only one government-controlled station is defying the ban.The Islamists frequently assassinate those who defy them or carry out Shariah-based punishments like amputating limbs.The ban on music echoes rules enforced by Afghanistan's hardline Taliban regime in the late 1990s. A routine domestic flight almost ended in disaster on Tuesday when a jet carrying more than 100 passengers broke apart on landing in Indonesia, injuring about 20 people, officials said.The Merpati airline Boeing 737 bounced off the tarmac at Rendani domestic airport in Manokwari, West Papua,hurtled into trees and skidded into a shallow river, director general of civil aviation Herry Bhakti Singayuda said. "All the passengers were in a total panic, some even screamed and cried," said passenger Zainal Hayat, 52, who crawled out of a crack in the fuselage and was being treated at hospital with facial injuries. Heavy rain and fog were suspected of playing a part in the crash, he added, although expert investigators had yet to arrive at the scene.Manokwari Hospital emergency unit nurse Benget Hutagalung said "about 20" people had been brought in with shattered limbs and head injuries.Witnesses said the left wing broke off as the plane smashed into the trees at the end of the runway. The cockpit was also almost completely separated from the rest of the fusilage. After a US study warned of a "very real possibility" that deadly warheads could be stolen by extremists singling out Pakistan as a likely source, Prime Minister Yusuf Raza Gilani on Tuesday said his country's "nuclear weapons are safe and well-guarded".Trying to allay misgivings, Gilani said "Islamabad has taken effective steps for nuclear safety, security and nonproliferation through extensive legislative, regulatory and administrative framework". Harvard University released a study warning that four terror groups -- Al-Qaida, Lashkar-e-Toiba, Chechnya-based separatists and Japanese extremist group Aum Shinnko, were hunting for warheads. The study, 'Securing the Bomb' conducted by the Belfer Centre of the University, and released today said that Al-Qaida was in the hunt for nuclear weapons for the last 10 years and had twice attempted to buy fissile material in black market. It said Pakistan faces a greater threat from Islamic extremists seeking nuclear weapons than any other country on Earth. The new report from Harvard nonproliferation experts found that Pakistan's stockpile is the world's least secure.With Washington dependent on the Pakistani military to support it in the war in Afghanistan, an emboldened Pakistan has demanded a nuclear deal along the lines of the Indo-US civilian nuclear agreement. "Obviously, if Pakistan's cooperation is needed then Pakistan cannot at the same time be the victim, the target and at the same time a partner. People have to acknowledge the positive things that Pakistan has done and only then they can afford to have Pakistan's full and unqualified cooperation," said Brig. Naeem Salik, Former Director, Arms Control and Disarmament Affairs, SPD, Pakistan. Despite all the rhetoric of a new strategic partnership between Islamabad and Washington, the much coveted prize of a civilian nuclear deal seems rather unlikely, but when PM Gilani takes the podium at the Nuclear Summit today he will have the world's attention. Sania and Shoaib got married . at last....The wedding was held at 1 pm at the Taj Krishna, a private function with close family members as invitees. "Sania wore a red saree that her mother had worn 25 years ago for her own nikaah. Shoaib wore wearing a black sherwani which was made by Shantanu and Nikhil," said Sania's spokesperson, Rucha Nayak. However, Hyderabad, and indeed the rest of India may be forgiven for feeling like they now know way more than they ever dared about Mirza's groom who is a Pakistani cricket. Over a series of press conferences and daily television and newspaper interviews, India has confronted Malik, his first wife, Ayesha Siddiqui, also a Hyderabad resident, and the details of their phone-wedding and quickie divorce. After a public press conference where Mirza and Malik, like some unique two-headed creature, firmly nodded their denials about his first wedding, Malik divorced Siddiqui, with community elders mediating. His sentiments about the divorce were also in the public domain, with a unique press release that asked everyone to think of him as a younger brother and forgive him. Mirzas's mehendi is scheduled for Tuesday, followed by a sangeet on Wednesday (Malik and she have been rehearsing a dance performance, one wonders what song best describes their current state of mind and relationship), a lavish reception will be held on Thursday. As US gathers support to impose fresh sanctions on Iran over its controversial nuclear programme, India on Saturday made clear its opposition to such a step, saying it would not solve the problem. At the same time, India wants Iran to work with UN nuclear watchdog IAEA to convince the world that it is not seeking nuclear weapons as claimed by it. "We are not sure sanctions are an answer. We don't think sanctions will solve the problem," sources said while articulating India's position on the moves by the US to garner support for fresh UN sanctions against Iran.The US is currently holding talks with other permanent members of the UN Security Council for support on a resolution to impose fourth round of sanctions on Iran.India opposes sanctions as it feels that these only impact common people. Noting that Iran has been saying that it is not seeking nuclear weapons, the sources said many countries across the world, however, are not convinced by it. 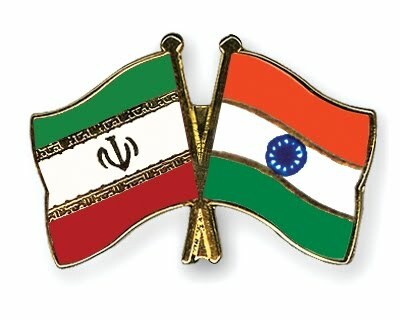 "The best way to reassure the world is to work with IAEA," they said.India has always maintained that the controversy over Iran's nuclear programme should be addressed within the forum of IAEA rather than the UNSC.About the perception that IAEA has lately hardened its stance vis-a-vis Iran's nuclear programme, the sources said exasperation may be setting in as the UN atomic watchdog has been involved in the matter for long and got no assurance. The latest stand of India on Iran comes after US had last week asked India and Pak to close down their Friendship and Ecnomic ties with Iran. Polish President Lech Kaczynski and his wife died Saturday along with more than 80 others when their plane crashed while coming in for a landing in western Russia, officials said.Reports suggest that The Army chief of staff, Gen. Franciszek Gagor, National Bank President Slawomir Skrzypek and Deputy Foreign Minister Andrzej Kremoer were on the passenger list. The Tu-154 plane crash occurred about 1.5 km from Smolensk airport, about 400 kilometers (275 miles) west of Moscow in foggy conditions. "It clipped the tops of the trees, crashed down and broke into pieces," the governor of the Smolensk region, Sergei Antufiev, told a news network by telephone. The head of Russia's top investigative body, Sergei Markin, said there were a total of 132 people on the plane, a Tu-154. Kaczynski was flying to Russia for events marking the 70th anniversary of the massacre of thousands of Polish officers by Soviet secret police in Katyn and elsewhere during World War II.The presidential plane was a Soviet-built Tupolev TU154M, at least 20 years old.In Warsaw, Prime Minister Donald Tusk called an extraordinary meeting of his Cabinet. Kaczynski, 60, became president in December 2005 after defeating Tusk in that year's presidential vote. The nationalist conservative was the twin brother of Poland's opposition leader, former Prime Minister Jaroslaw Kaczynski.Kaczynski had said he would seek a second term in presidential elections this fall. He was expected to face an uphill struggle against Parliament speaker Bronislaw Komorowski, the candidate of Tusk's governing Civic Platform party.According to the constitution, Komorowski would take over presidential duties. India will soon launch an advanced communications satellite, put into orbit for the first time by a cryogenic engine developed by its own scientists.Cryogenic engines are rocket motors designed for fuels that have to be held at very low temperatures to be liquid. They would otherwise be gas. Officials say that only five countries in the world have this technology. The new engine is being incorporated into the upper-stage of India's Geostationary Satellite Launch Vehicle (GSLV). "It is a complex strategy technology," said Indian Space Research Organisation (Isro) Chairman K Radhakrishnan. He said the rocket would send a heavy communications satellite into space on 15 April from the country's launch pad at Sriharikota in eastern India. Dr Radhakrishnan told reporters in Banglalore that the technology was home grown because "one country stopped another country in giving this technology to India". India began developing cryogenic technology after Russia reneged on a deal to supply cryogenic engines in 1993 - following pressure from the United States, which believed India was using the technology to power missiles. "The best reply is to... build your own technology," Dr Radhakrishnan said. India has been using Russian engines to launch heavier satellites into space for some time. It joins the US, Russia, Japan and China in having developed cryogenic engines. India hopes to emerge as a global player in the multi-billion dollar satellite launch market. President Mahinda Rajapaksa's United People's Freedom Alliance has so far won 117 of the assembly's 225 seats. The main opposition party has won 46 seats, making it unlikely the alliance will win the two-thirds majority needed to make constitutional changes. It is the first parliamentary poll since the civil war ended last year. Veteran cricket all-rounder Sanath Jayasuriya has created what his supporters say is a world record by being elected to the parliament while still playing cricket. He contested the polls for President Rajapaksa's party in Matara district in the south. Another cricketer, World Cup winning captain Arjuna Ranatunga, told the BBC Sinhala service that he had secured victory in Kalutara district for the Democratic National Alliance (DNA) party led by detained opposition leader Sarath Foneka. Correspondents say that Gen Fonseka and another opposition parliamentarian, Sunil Handunnetti, are the only two MPs elected from the DNA in Colombo - Sri Lanka's capital. The official results of the preferential system of voting has yet to be released, but results have been widely leaked to the Sri Lankan media and journalists. An unassuming market in West Delhi turned into the location of a high-drama search-and-seize. The target: radioactive material in a scrap shop that has led to five people being hospitalized. Experts say this is possibly the worst case of radiation exposure in India, with levels a thousand times higher than permissible limits. Half a kilometre of the market was cordoned off by the Delhi Police. Inside, specialists from the Department of Atomic Energy, armed with geiger counters to detect radiation, looked through metal scrap in dozens of shops. Sixteen hours later, the area was declared safe. The potentially-contaminated items were loaded onto a carefully-shielded lead container and taken to the Narora Atomic Station where they will be further analysed to find out where it could have come from. A week ago, Deepak Jain, who owns two metal scrap shops showed signs of radiation poisoning: dizziness, hair loss, burn and rash marks on his hands. He was admitted into hospital, and then on Thursday night, four other workers at his shop developed similar symptoms. When they arrived at a government hospital, the authorities were alerted and the Department of Atomic Energy moved in to investigate.Cobalt-60, a radioactive compound used in hospitals where cancer patients are treated, was found in Jain's shop. Ahead of the Commonwealth Games this year, three government hospitals in Delhi have been equipped and trained to look after patients who've been exposed to radiation. In addition to the safety lapses, what was worrying in this case was the slow reaction of doctors and the DAE in recognizing the signs of what could have widened into a much bigger crisis. The parliament of Pakistan has voted unanimously in favour of measures which limit key presidential powers. The measures transfer certain powers from the office of the president to the prime minister and take away his power to dismiss elected governments. Supporters say the legislation will strengthen parliamentary democracy, weakened by periods of military rule. The bill was approved unanimously by Pakistan's National Assembly. It now needs approval from the upper house. The constitution as it stands confers vast powers on the president, including the power to appoint military chiefs. That will end, as will the president's ability to dismiss all or any of the central or provincial governments in Pakistan. Correspondents say the bill is likely to be approved by the upper house - or Senate - as all the major political parties have signed the draft. Once it is approved, it will pass into law. "The impossible has been made possible by the house today," Pakistan's Prime Minister Yousuf Raza Gilani told lawmakers in a speech. "cyber-espionage" network that penetrated various organisations including the Office of the Dalai Lama, has been uncovered by researchers.The shadow network targeted government, business, and academic computers at the United Nations and the Embassy of Pakistan in the US, among others. It was used to steal at least 1,500 emails from the Office of the Dalai Lama, the researchers said. The attacks were thought to originate in the city of Chengdu in China. Specifically, the researchers, from the Information Warfare Monitor and the Shadowserver Foundation, said they had evidence of "links between the Shadow network and two individuals living in Chengdu". Information Warfare Monitor comprises researchers from Ottawa-based think tank SecDev Group and the University of Toronto's Munk Centre for International Studies. In 2009, the team previously exposed GhostNet, a massive network that was found to have infiltrated 1,295 computers in 103 countries. That investigation had started at the request of the Dalai Lama, Tibet's spiritual leader. The new investigation showed that his office had been targeted again, with more than 1,500 letters sent from the Dalai Lama's office between January and November 2009 recovered by the team. The researchers said that they had also recovered a number of documents that were in the possession of the Indian government, including two documents marked "secret", six as "restricted", and five as "confidential". Recovered documents included Canadian visa applications. The team said they had no direct evidence that they had been stolen form Indian Government computers. Instead, they said, the documents may have been stolen after being copied onto personal computers. In addition, the researchers found evidence that the hackers had targeted the United Nations Economic and Social Commission for Asia and the Pacifc (UNESCAP). However the team said the hackers had been largely "indiscriminate in what they took". "The attackers disproportionately took sensitive information but also took financial and personal information," the team said at launch. The team said the investigation is ongoing. Israeli PM Benjamin Netanyahu has cancelled a visit to the US where he was to attend a summit on nuclear security, Israeli officials say. Mr Netanyahu made the decision after learning that Egypt and Turkey intended to raise the issue of Israel's presumed nuclear arsenal, media reports said. Mr Obama is due to host dozens of world leaders at the two-day conference, which begins in Washington on Monday. Israel has never confirmed or denied that it possesses atomic weapons. "The prime minister has decided to cancel his trip to Washington to attend the nuclear conference next week, after learning that some countries including Egypt and Turkey plan to say Israel must sign the NPT," Reuters news agency quoted a senior Israeli official as saying. Israel's Intelligence and Atomic Energy Minister Dan Meridor will take Netanyahu's place in the nuclear summit, Israeli radio said. More than 40 countries are expected at the meeting, which will focus on preventing the spread of nuclear weapons to militant groups. Prince Harry, the third-in-line to the British throne, has flouted Royal Family rules by signing the plaster cast of a girl who had fractured her arm, a media report said. As a counsellor of state who signs government papers and brings legislation into force when he stands in for the Queen, the Prince is strictly not supposed to sign anything that could lead to his signature being copied and forged.And now he has risked landing in hot water with his grandmother, the Queen, though she is likely to forgive him for the gesture which made the day of Charlotte Wilkinson Burnett, an Air Training Corps cadet who met him during his visit to Lesotho this summer, the 'Daily Express' reported. "The cast is coming off on May 18 but I'm keeping it now -- it's going in a glass box," said the 17-year-old from Barrow Upon Soar, Leicestershire, who asked if he would sign her plaster. The Prince wrote: "Get well soon. Harry". The 74th Masters gets under way at Augusta National on Thursday after a build-up dominated by the return to golf of world number one Tiger Woods.The four-time Masters winner is playing his first tournament since a four-month break following the disclosure of a string of extra-marital affairs. Woods has been grouped with countryman Matt Kuchar and South Korea's KJ Choi in the first two rounds and will tee off in the penultimate group at 1342 (1842 BST) on Thursday. The 34-year-old American faced the media on Monday for the first time since his affairs became public, admitting that he was "blown away" by the positive reception he received from fans, and pledged to rebuild his image. Augusta chairman Billy Payne said on the eve of the tournament: "We at Augusta hope and pray that our great champion will begin his new life here on Thursday in a positive, hopeful and constructive manner. "He disappointed all of us. Our hero did not live up to his expectations of the role model we saw for our children." Mickelson believes Woods will be a contender despite his lay-off, citing the 2008 US Open which Woods won after a two-month break and with a serious knee injury that required a further nine months off for surgery. "I don't think anybody out here will question his ability to perform at the highest level. From a players' point of view, we expect to see the same player that we have always seen," said Mickelson. But Faldo, a three-time Masters champion, says Woods could struggle to make the cut. Information about Red Star, as it is known, was made public by a Russian blogger studying in North Korea, who bought the program off the street. Further analysis by a government institute in neighbouring South Korea said the operating system is aimed at monitoring user activity. However, very few North Koreans own a computer or have internet access. Web content is also heavily censored. It is designed "to control [North Korea's] own information security", a report by South Korea's Science and Technology Policy Institute (STPI) said. "Due to few applicable programmes available, Red Star will not even be easily distributed in North Korea," it added. The Russian blogger, identified only as Mikhail, said Red Star could be bought in Pyongyang for around $5. He has also posted a series of screenshots on his blog. The Red Star operating system uses a popular Korean folk song as its start-up music and numbers years using a calendar which starts counting from the birth of state founder Kim Il-sung, making 2010 the 99th year. It is Linux-based but is heavily influenced by Microsoft with versions of the software giant's Office programmes, including several familiar games. It runs only in the Korean language and takes 15 minutes to install, reports said. It has games, an e-mail system known as Pigeon and a Mozilla's Firefox internet browser - which has the North Korean government website as a home page. The US government has banned the uploading and downloading of open source code to residents of a handful of countries on its sanctions list, which includes North Korea. At least 74 Central Reserve Police Force (CRPF) and state police personnel were killed in an ambush on Tuesday, in the thick Mukrana forests of Chhattisgarh's Dantewada district. The dead include a Deputy and an Assistant Commandant of the CRPF, and a head constable of the district police. The CRPF party, returning after a three-day anti-Maoist operation, were taking a break at around 6 am after travelling all night, when they were ambushed by up to 1,000 Maoists positioned on neighbouring hill top. 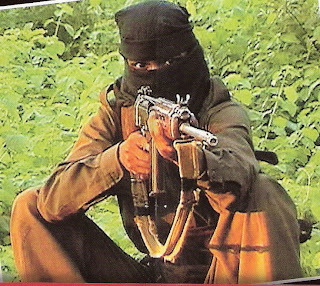 The Naxals - aware of the CRPF movement - executed their attack with fierce precision, giving the jawans no chance to react. They blew up an anti-landmine vehicle and then began firing indiscriminately. The shocked and exhausted jawans weren't able to follow standard operating procedures like checking the road for landmines, and were massacred within minutes. The Naxals also managed to loot all the weapons that the CRPF team had. The attack comes two days after Maoists triggered a landmine blast in Orissa's Koraput district, killing 11 security personnel of the elite anti-Naxal Special Operations Group. The rebels say they will step up attacks unless the government halts its offensive against them. Mr Chidambaram has said troops will intensify the offensive if the rebels do not renounce violence and enter peace talks. The Maoists want four senior leaders freed from jail and the offensive halted before any talks. Prime Minister Manmohan Singh has described the Maoist insurgency as India's "greatest internal security challenge". The Maoists say they are fighting for the rights of the rural poor who they say have been neglected by governments for decades.Thousands of people have died during the rebels' 20-year fight for communist rule in large swathes of rural India, known as the "red corridor". The Govenment should take steps to tackle this internal security threat.....with naxals holding camps within india ...and training its members...when India shouts out at terrorism ...what about naxalism within the nation. Pakistan said it will extend all help to former Pak cricket captain Shoaib Malik, who has been slapped with cheating and harassment charges in India by Ayesha Siddiqui who claims to be his wife, days ahead of his planned wedding to Indian tennis star Sania Mirza.Indian police today questioned Malik in Hyderabad and had taken away his passport. The 28-year-old Shoaib told a police team this morning at the Hyderabad residence of 23-year-old Sania that he had been tricked into a marriage with Ayesha. The case was filed against Malik 10 days before his planned wedding with Mirza. Malik recently announced that he would wed Sania on April 15. Malik recently travelled to Hyderabad after Ayesha's reiterated her claims that she had married the cricketer in 2002. The marriage has rised surprise among Indian fans of Sania Mirza ,on her will to marry a pakistani National and then playing for India. NASA fueled Discovery late on Sunday for a pre-dawn launch to the International Space Station, one of the last few shuttle flights.Discovery was scheduled to blast off at 6:21 am, nearly an hour before sunrise. The shuttle and its crew of seven will deliver spare parts and science experiments to the nearly completed space station.Forecasters put the odds of good weather at 80 percent.Fueling was delayed because of a voltage spike in one of Discovery's fuel cells. Engineers suspected the brief surge was related to the cockpit lights, and said it posed no problem for liftoff. Only four shuttle flights remain. NASA plans to retire the fleet this fall.Once that happens, the space station will rely exclusively on other countries' vessels for crews and supplies. Three new residents arrived Sunday -- one American and two Russians. They wished everyone a happy Easter after their Russian spacecraft docked.The station's population will temporarily swell from six to 13 when Discovery arrives. Four will be women, the most ever in space at once. And two of the astronauts will be Japanese -- another first. Scores of journalists and space officials from Japan descended on the launch site to witness the big event. Area roads also were jammed with post-Easter vacationers and spring breakers, all hoping to view a launch as the program winds down.Discovery's mission will last nearly two weeks and coincide with the 29th anniversary of the first shuttle flight on April 12. Three days later, President Barack Obama will visit the Cape Canaveral area to outline his post-shuttle plans for NASA. Obama already has canceled NASA's follow-up moon program.This is expected to be the last shuttle launch in darkness. Discovery was supposed to fly two weeks ago, which would have meant an afternoon liftoff. But unusually cold weather over the winter stalled launch preparations and drove the flight into the wee hours. Shuttle commander Alan Poindexter and his crew will work the graveyard shift in orbit. 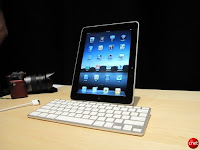 Apple's latest product, the iPad tablet computer, has gone on sale in America.The first generation model has wi-fi but not 3G connectivity, and unlike other tablet devices, it is not yet available outside the US. The New York Apple store in Manhattan opened its doors to a 500-strong crowd at 0900 EST (1400 BST). Queues for the new iPad were considerably smaller than the crowds which gathered for the launch of the iPhone in 2007, according to reports. However people had travelled to the US from around the world to purchase a device. Apple took pre-orders online but some early adopters began queuing outside stores the day before its release. The company's co-founder Steve Wozniak joined a queue outside an Apple store in California on Friday evening. He said he had pre-ordered the device, which is retailing in the US at $499 - $829 (£328 - £545). European prices have not yet been announced. On a day when she began recruitment for her Memorial Protection Force, Mayawati, the UP Chief Minister in India, gave a thumbs down for the landmark Right to Education (RTE) Act. Blaming the Centre for not making any financial allocations, in a letter to the Prime Minister of India, Mayawati has said that the UP Govt cannot bear the expenses, and that the States should have been consulted before passing RTE. Mayawati says the Centre can't decide what the state governments should do and that implementing RTE will cost Uttar Pradesh Rs 8,000 crore this fiscal. She also added that the Centre should bear all the costs.A nominal ratio of 65 per cent by the Centre and 35 per cent by the State had been settled while passing the Act.The RTE Act came into force on April 1st and promises to ensure education for all children between 6 and 14 in India, a whopping 22 crore children, out of which nearly 1.1 crore are out of school. When Mayawati is spending crores for building Memorials and Statues ,She forgets about common people and their needs. Mr Terreblanche, 69, was beaten to death after a dispute over unpaid wages. Two people are said to have been arrested. President Jacob Zuma has appealed for calm, saying the killing should not incite racial hatred. Mr Terreblanche, who campaigned for a separate white homeland, came to prominence in the early 1980s. He had founded the white supremacist AWB in 1973, to oppose what he regarded as the liberal policies of the then-South African leader, John Vorster. His party tried terrorist tactics and threatened civil war in the run-up to South Africa's first democratic elections. In the 1980s, the government of PW Botha considered a constitutional plan allowing South Africa's Asian and coloured (mixed-race) minorities to vote for racially segregated parliamentary chambers. For the likes of Mr Terreblanche, this was the start of the slippery slope towards democracy, communism, black rule and the destruction of the Afrikaner nation, analysts say. Claiming on occasion to be a cultural organisation - albeit one with sidearms and paramilitary uniforms - Mr Terreblanche and his men promised to fight for the survival of the white tribe of Africa. An ill-fated military intervention into the Bophuthatswana homeland in 1994 ended with three AWB men being killed in front of TV cameras in a PR disaster that diminished further the seriousness with which Mr Terreblanche's movement was taken. Mr Terreblance continued to campaign to preserve the apartheid system but lived in relative obscurity since it collapsed. The AWB was revived two years ago and there had been recent efforts to form a united front among white far-right groups. The US and Russian presidents are to sign a pact on Thursday committing the former Cold War foes to unprecedented nuclear arms reductions, cementing a hard-won deal that should put strained ties on firmer footing. 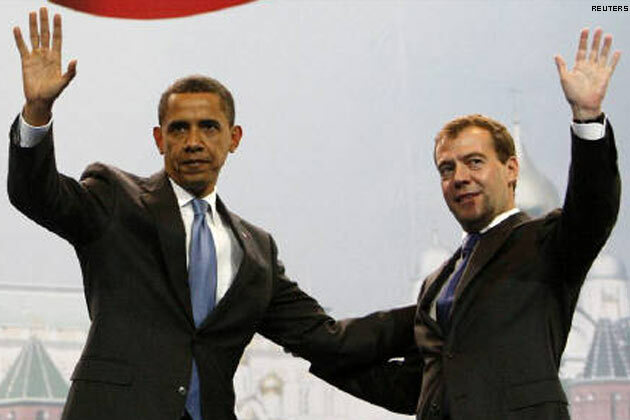 After nearly a year of tough negotiations, the signing by Barack Obama and Dmitry Medvedev in Prague, the capital of a former Soviet satellite now in NATO, will symbolise cooperation between Washington and Moscow for the sake of global security. Both presidents say new cuts in the largest arsenals on the planet are a step toward a world without nuclear weapons and a signal to nations seeking them that there is no need. But the successor to the 1991 Strategic Arms Reduction Treaty (START I) will not come into force without ratification by lawmakers in both countries, and could face a rough ride in the US Senate.The START successor deal will not resolve simmering tension over missile defence, which has haunted ties since the Reagan era and hurt them badly in the past decade. With Russia already saying it could withdraw from the pact if its security is threatened by US missile defences, the divisive issue could come to the fore again. Russia has long complained that cutting its offensive arsenal could leave it exposed if the United States builds a missile shield in Eastern Europe. The treaty would limit the number of operationally deployed nuclear warheads to 1,550 for each country -- down nearly two-thirds from START I and 30 per cent lower than the ceiling of the 2002 Moscow Treaty set for each side by 2012. But if the treaty is a success then US will certainly start pressurising India and other nuclear nations to sign in similar nuclear disarmment treaties. Assistant Secretary of State for South and Central Asia, Robert Blake, said "Our concerns about the government of Iran are very well known. Given its current unwillingness to address its international obligations and international concerns about its nuclear programme, we don't think that this is the time for such transactions to be taking place with Iran".He was referring to the $7.5 billion gas pipeline deal signed last month between Pakistan and Iran, a project in which India has shown renewed interest. India's Petroleum Ministry says that a decision on joining the Iran-Pakistan gas pipeline should not be governed by politics, although talks have hit roadblocks on issues ranging from pricing of gas to security of the pipeline. "The Iran-Pakistan-India pipeline discussions have been going on," said Petroleum Secretary S Sundareshan, who was accompanying Oil Minister Murli Deora during his stay in New York after returning from the International Energy Forum in Cancun. I feel that India which needs huge amount of Energy ,should go forward with the Gasline project...as it doesnt have any link with Iran's Nuclear issue. The "father of the personal computer" who kick-started the careers of Microsoft founders Bill Gates and Paul Allen has died at the age of 68.Dr Henry Edward Roberts was the inventor of the Altair 8800, a machine that sparked the home computer era. Gates and Allen contacted Dr Roberts after seeing the machine on the front cover of a magazine and offered to write software for it. The program was known as Altair-Basic, the foundation of Microsoft's business. "Ed was willing to take a chance on us - two young guys interested in computers long before they were commonplace - and we have always been grateful to him," the Microsoft founders said in a statement. "The day our first untested software worked on his Altair was the start of a lot of great things." Apple co-founder Steve Wozniak told technology website CNET that Dr Roberts had taken " a critically important step that led to everything we have today". Dr Roberts was the founder of Micro Instrumentation and Telemetry Systems (MITS), originally set up to sell electronics kits to model rocket hobbyists. The company went on to sell electronic calculator kits, but was soon overshadowed by bigger firms. In the mid-1970's, with the firm struggling with debt, Dr Roberts began to develop a computer kit for hobbyists. The result was the Altair 8800, a machine operated by switches and with no display.Dr Roberts sold his company in 1977. 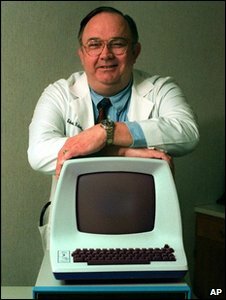 He died in hospital on 1 April after a long bout of pneumonia.Its time to pay homage to Dr.Roberts who changed the world with his computer kit just developed for hobbyists. India is launching a new census in which every person aged over 15 will be photographed and fingerprinted to create a biometric national database.On April 1st the task of counting its teeming billion-plus population started, with 2.5 million people set to fan out over the country to begin work for the 2011 census.The massive exercise, to be spread over next 11 months, will mark a milestone as the first-ever National Population Register (NPR) will also be prepared in which all persons aged over 15 years will be photographed and fingerprinted to create a biometric national database. With this India will probably become the first democratic nation in the world which would have got its population fingerprinted in a year from now. President Pratibha Devisingh Patil was the first person to be listed as she is the first citizen of the Nation. She appealed to her compatriots to follow her example “for the good of the nation.''. Data collected for the National Population Register will in turn facilitate the issue of the 16-digit Unique Identity Numbers to all Indian residents. This will serve as a one-stop proof for all Indians to establish their identity, eliminating the current need to produce multiple personal documents. All 640 districts, 5,767 tehsils, 7,742 towns and more than six lakh villages will be covered.The first identity numbers are expected to be issued by November this year. Being a Indian I feel that the new Biometric ID will help people to easily gain access Government benefits,and donot have to carry multiple IDs,The Government will be able to counter crime and Terrorism easily .